ACT’s assessments have always been built from the ground up, based on what educators have determined students need to learn—and on what they are actually being taught. Social and emotional learning (SEL) is no different. As educators have been insisting for decades, success depends on more than just core academic knowledge. ACT recognizes this need to consider the “whole student.” SEL emphasizes aspects such as responsibility and diligence; self-management and composure; and social skills, or getting along with others. These skills are necessary prerequisites for individuals to succeed in the global community of today’s world, as well as local communities, with distinct customs and mores. Unlike other SEL assessments, the ACT approach does not solely rely on self-reporting, which can enable examinees to game the system—providing responses that may be inaccurate, but are perceived as the socially desirable response. Our system, based on research in innovative assessment methodology over the past two decades, uses techniques such as scenario-based situational judgement tests and forced-choice items. This initiative to view student behavior in conjunction with their knowledge is not isolated to the US. We have conducted SEL studies in New Zealand and Chile, and our Global Assessment Certificate curriculum includes modules and training on collaboration, conscientiousness, and honesty. In 2018, the Organisation for Economic Co-operation and Development (OECD) launched the Study on Social and Emotional Skills to place greater emphasis on the development of these skills in schools and other settings. We may use different terms: SEL, non-cognitive skills, teamwork, moral, grit, tenacity, but we mean the same thing: How can we develop within students the social and emotional competencies required for success in their global communities? ACT was recently awarded the opportunity to develop an assessment tailored to the Crown Prince Court Moral Education Program implemented in the United Arab Emirates (UAE). The curriculum, developed by the CPC, seeks to embed social and emotional learning—along with academic content on national history, culture, and civics—into curriculum that educates every student for greater success in the workforce and as engaged citizens. 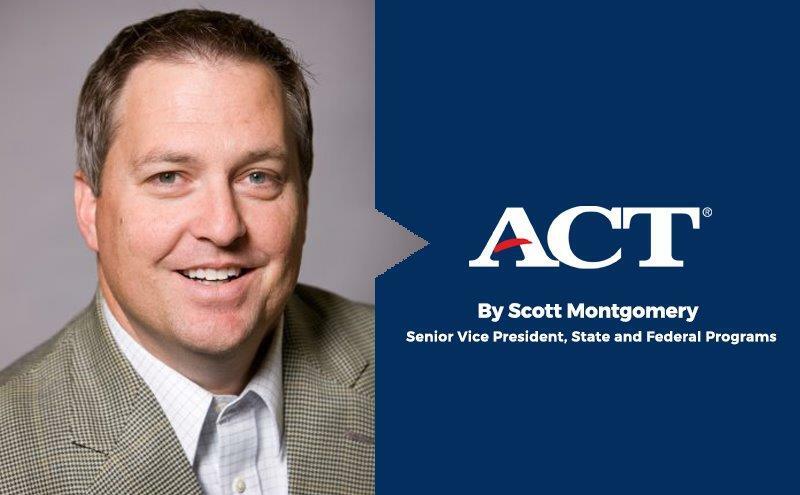 ACT is working to develop the Moral Education Standardized Assessment, which will measure if students are demonstrating the knowledge and behaviors taught by the Moral Education Program. As with any well-crafted assessment, we design with the end in mind: what are the desired learning outcomes and objectives of the curriculum? For some skills, this may be evaluated by a particular behavior, like tolerance of another’s differences; for others it may be demonstrated by their knowledge (e.g. learning government procedures). Although program details vary from one educational entity to the next, in the end, the goal remains the same. What’s fast-developing is a genuinely transformative new mindset and educational design: a holistic one that recognizes that our students must attain academic knowledge and social and emotional competencies to succeed and thrive. We are committed to preparing students for success in today’s society, with help from our partners across the globe.